The cornerstone of Canada's bilingualism policy, the Official Languages Act was adopted in July 1969 and enshrined the equal status of English and French as languages of Parliament and the Government of Canada. A few months later, the federal government made a commitment to provide partial funding for minority-language education and second-language instruction across the country. 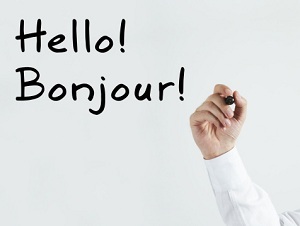 Language Learning and Exchange Programs: To promote the study of Canada's official languages, CMEC (in cooperation with the provinces and territories) administers programs that provide language assistants for second-language learners and teachers, and that allow students to study English or French in a region of Canada outside their home. The Protocol for Agreements for Minority-Language Education and Second-Language Instruction: Since 1983, the federal government's contributions to the costs incurred by provinces and territories in the delivery of minority-language education and second-language instruction have been governed by the Protocol for Agreements for Minority-Language Education and Second-Language Instruction. CMEC negotiates the terms of the protocol, whose parameters each province and territory follows in establishing its own bilateral cost-sharing agreement with the federal government.. These agreements include a multi-year action plan. French-Language Education in Minority Settings: In response to tests showing that students in French-language schools in minority settings were not performing as well as their English-language counterparts, CMEC launched the Pan-Canadian French-as-a-First-Language Project. Phases I and II of the project provided a detailed analysis of the context and performance of minority-language students, as well as tools to assist teachers in francophone minority-language settings. Phase III is a pan-Canadian framework for cultural appropriation in French-speaking schools in minority settings. “Cultural appropriation” has a particular meaning in this context.